When it comes time to move, arm yourself with facts to find your ideal home at the right price. Surfing the web gives you an idea of what to expect buy speaking to a licensed agent provides you with insight that untrained eyes couldn’t discern. By patiently acquiring as much information as possible you can buy the right home in a good neighborhood at bargain prices. Take the anxiety out of the new home buying process by following these 5 smart tips. Even though your lender needs a home appraisal but this formality simply verifies if the home is worth the price you’re paying for it. You need to know whether the home passes the test by hiring a professional to inspect it. Connect with an inspector who has an engineering background to receive an expert opinion. The individual should have extensive experience doing home surveys in the area if you want to receive invaluable advice. Carefully inspecting a home to point out potential pricey errors can help you make your choice. Nobody wants to invest in a money pit. 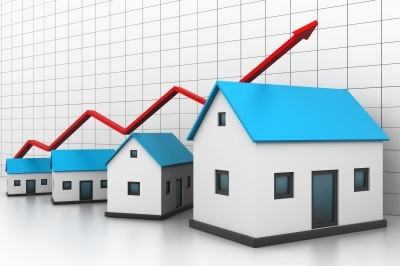 Before you place a bid research the selling prices of homes in the neighborhood. By following this trend you can bid with confidence. Aim for a time frame within 3 months to get a fair idea of what you should bid at since real estate trends may change more dramatically outside of this period. If you’ve found homes in the neighborhood selling at a roughly 5% discount to the selling price bid at 10% below the sell price. Doing so helps you get a bargain without being unreasonable. Buy a home at a price which works for both buying and selling parties. Save yourself the frustration of window shopping by getting pre-approved before you start looking for new homes. If you seem to have found a match you can make a legitimate offer on the home. Getting pre-approved takes your credit history, debt and income into account. Knowing that you have the means to purchase a home can facilitate the buying process. Speaking to a licensed real estate agent helps you find a better match. Professionals can see what novice home buyers who surf the web to find homes can possibly see. It pays to listen to an expert opinion. Many professional agents have successful track records helping individuals purchase their dream home at the right price. If you can find such a professional hire an exclusive buyer agent to who can readily devote their time and energy to you. Even if you don’t have a family and aren’t planning to have kids buy a home in a good school district. Homes in areas with reputable school districts usually sell at higher prices. When you’re ready to move you can ask for a higher price and make a greater profit. Since having access to good schools is important to many buyers you can increase your home’s property value by buying in areas with excellent schools.